Remember Mary-Kate and Ashley? Yeah, they were some good twins back in the days. 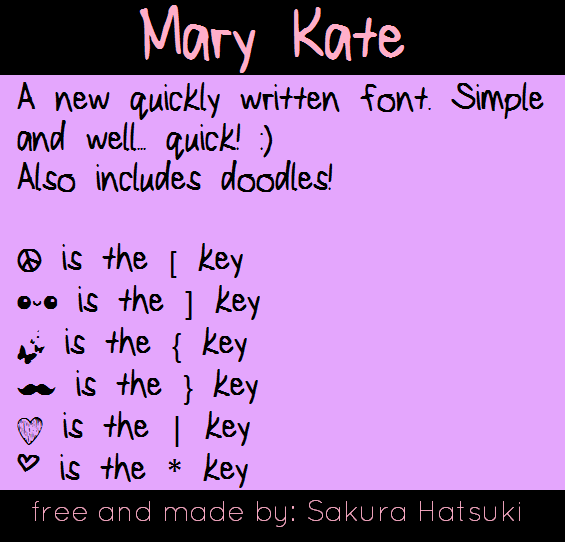 Okay, back to the font... Mary Kate is a cute new font made with my old template. I didn't like the performance of my new template, so Mr. Old Template is back! For now, I guess. Anyhoo, Mary Kate includes doodles! YAY! Just some random stuff like butterflies and a kawaii face.